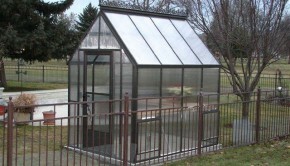 When deciding on your greenhouse purchase, thought should be given to the base that will hold the greenhouse frame. Some people like to create additional height by attaching the greenhouse frame to a raised foundation wall (also known as a kneewall). The raised foundation wall can be made from wood, concrete, or decorative bricks, rock or stone. If you are planning on attaching your greenhouse to a raised foundation wall, find out if you have the option to ask for a “door drop”. If a door drop option is available to you, this means that the door will be dropped down to ground level. The door drop will be dropped down the same height as your raised foundation wall. 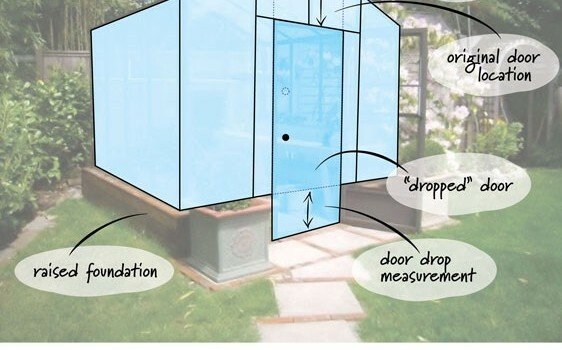 If a door drop is not an option, then you will have to step over your raised wall, or build steps leading up to the greenhouse door, and back down into the greenhouse. This can take up quite a bit of space. 2 Responses to What’s a Door Drop? Dear Shelley, my name is Jose Balli my twin brother Ernesto and I are the owners and operators of RM Nursery in Reynosa Tamaulipas MX. We specialize in Evergreen Oak, Washingtonian Palm and Phoenix Canariensis Palm production and sales. Our operation is around 30 acres, with the majority of the volume of the trees and palms being in an adult marketable stage. 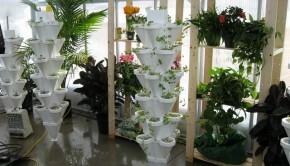 We are looking to build a Green house to grow the future stages of production of the nursery. This has been an important step which we have been assigning to a 3rd party Nursery. We want to take this challenge on ourselves as it means the future of our business.We would like to germinate several thousand seeds of each species each season. What type of Greenhouse should I build? 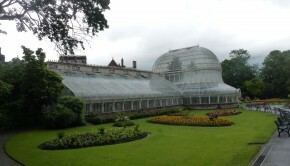 The best greenhouse for your area is a polycarbonate structure as it will keep the greenhouse warmer in the winter and cooler in the summer. 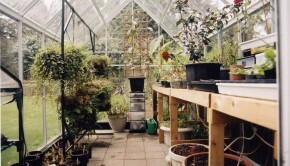 A greenhouse kit would be the easiest way to build. I recommend http://www.backyardgreenhouses.com as they have a wide selection of greenhouse kits and would likely be able to help you.